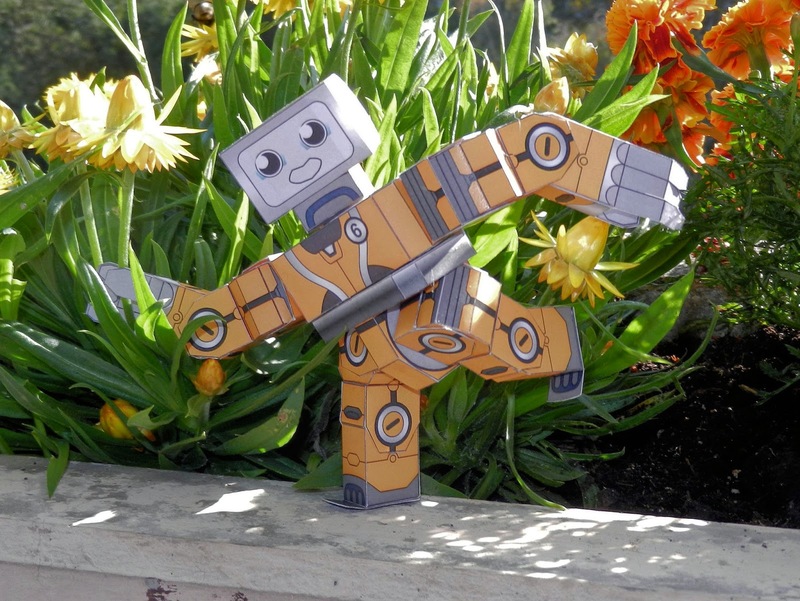 Herbert K has built a new version of his branch of the Pocobot tech tree - "Altobot Evolved". Each arm and leg now has three points of articulation, making this the most pose-able mini-bot I've seen in quite some time! 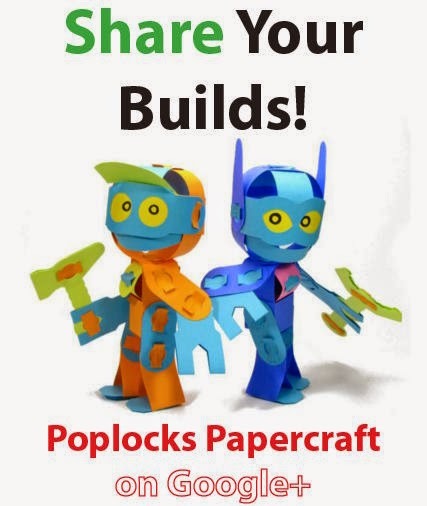 Just as Herbert has done, you too are free to modify and build your own versions of just about any toy pattern from Paper Poseables. I would love to see "your" design next! 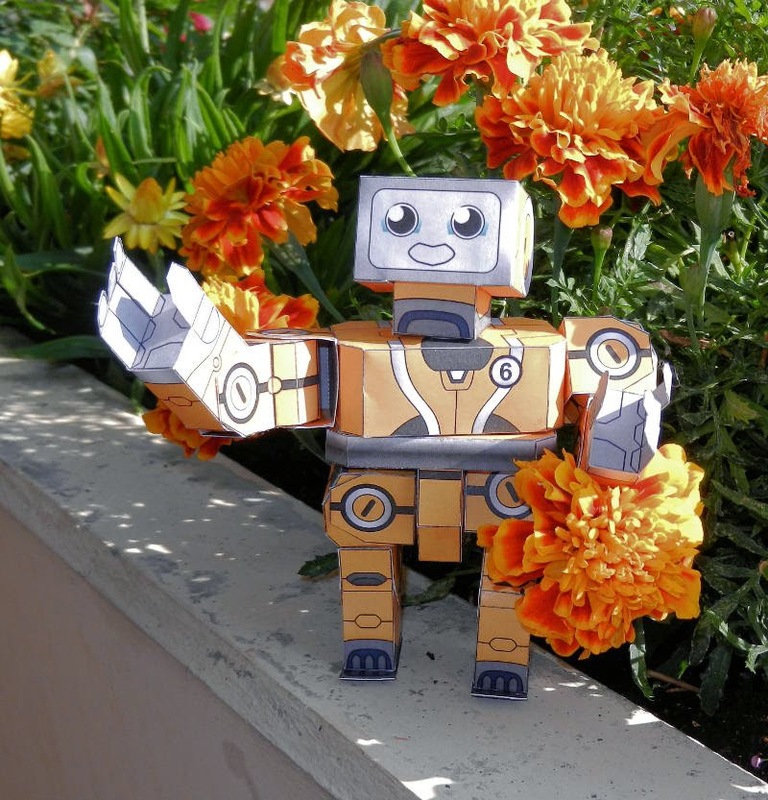 All three of Herbert's modified Pocobots. 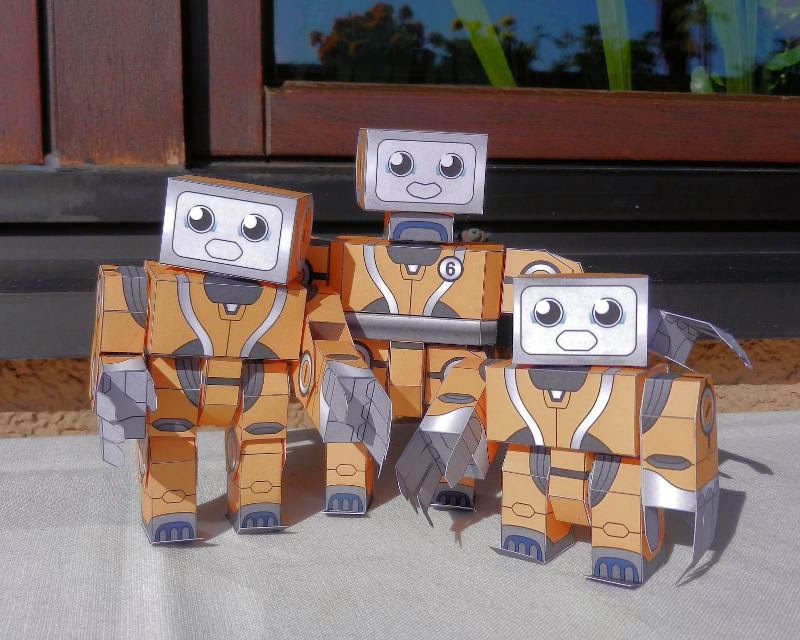 A robo family! Olá! está disponível para doanload?